Targeting 'Zionisme' and 'israhell,' pro-Palestinian hacker AnonGhost attacks website of left-wing Meretz party on Saturday night. The left-wing Meretz party's website was virtually hijacked Saturday night by a group of pro-Palestinian hackers called AnonGhost. The hackers left a statement greeting the "world" and announcing their intentions to "punish" people. "We are the voice of Palestine and we will not remain silent! We are the sound of the forgotten people, the freedom fighter in the cyberworld and our main target is Zionisme (sic) and israhell (sic)," the group wrote. 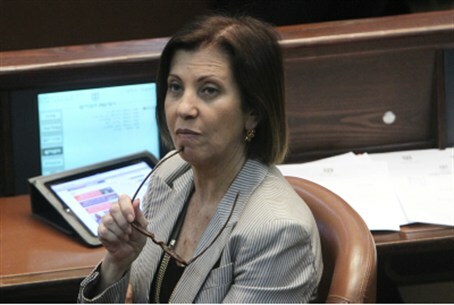 Explaining why Meretz's website was hacked, the group stated it wanted "to share our message and show the world who we are. We are not looking for fame but we have a goal to achieve." "We support all hackers teams and we support all the freedom movements in the world. Muslims are everywhere - We will enter to Palestine soon :) remember this." Another group of hackers issued threats against Jews and the Jewish state last week, calling for a massive cyber attack against Israel. In a video statement posted by Anonymous, the international hackers threatened an "Electronic Holocaust" set for April 7 - one week before Holocaust Remembrance Day in Israel. Anonymous threatened to take down "servers, government websites, Israeli military websites, and Israeli institutions" to "erase [Israel] from cyberspace in our electronic Holocaust." According to the group, the cyber attack was meant to avenge Israel's actions during Operation Protective Edge last summer.